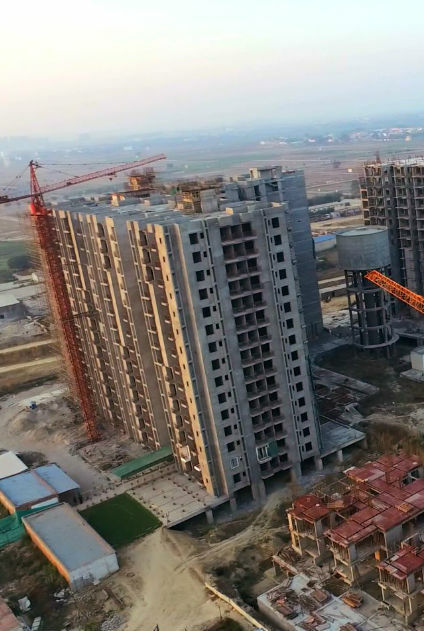 We, at Wave City, undertaken and promoted by “Uppal Chadha Hi-Tech Developers” are dedicated to meet our consumers demand and make a significant change in their daily lives. 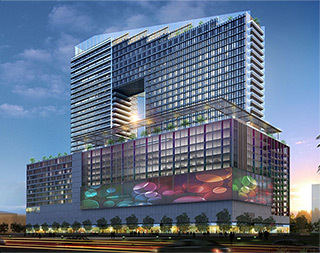 Wave City is a first of its kind project that truly personifies the concept of creating a smart home for you. From security to leisure, convenience to luxury, it will take care of everything. Spread across a vast area adjoining NH24, soon to be India’s first 14 Lane National Highway, it is one of the India’s largest self-sufficient cities based on “Hi-Tech City Concept”. In today’s fast paced life, we help you leverage technology that improves your life. And what would be better than the fact when technology meets luxury at your new address, which is adjacent to the Eastern Peripheral Expressway and Delhi-Meerut Expressway. Excited? Us too! 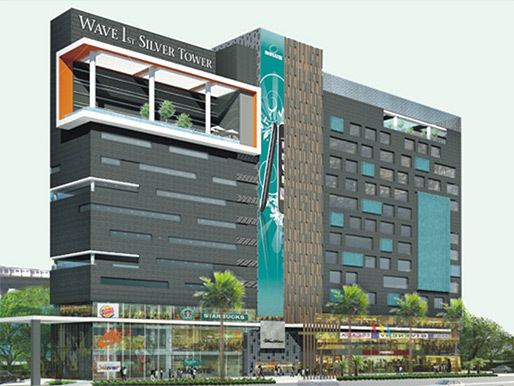 Wave City, adjacent to NH 24 is a society where you will get state-of-art independent floors, mid-rise apartments, villas, affordable housing units and shop & office spaces. Our each and every unit, regardless of scope, size or complexity meets international standard and is the pinnacle of fine living. The soaring ceilings, generous bedrooms, superior kitchen, stylish angles & quality fittings will give you an unrivalled lifestyle. The city offers smart features like Fiber Optic Connectivity, 24X7 CCTV surveillance, Automated Water Management, Street Light Automation, Waste Management, Central Command Centre and Smart Metering System to name a few. With-in house design, development, sales & project teams, the entire development process is managed smoothly. Our meticulous attention to detail has been consistently acknowledged for excellence. The products ranges include Wave Executive Floors, Dream Homes, Wave Floors, Prime Floors, Armonia Villas & Plots. With Wave Commercial Spaces, you have an opportunity to acquire a professional working space in one of the city’s fastest-growing regions. 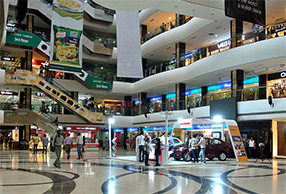 Wave Group is recognized as the trendsetter in constructing world class Malls in India. 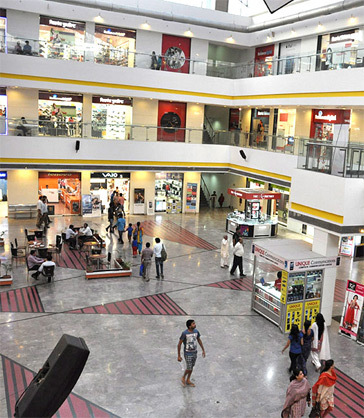 Few of the remarkable examples are The Wave Malls in Noida, Kaushambi, Lucknow, Moradabad, Ludhiana & Jammu. 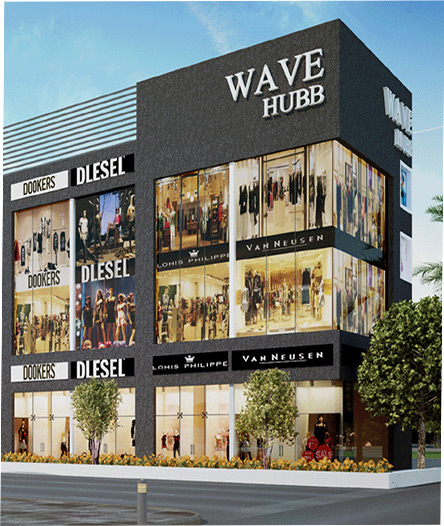 Wave group is one of the quickest rising stars in the retail sector; it has constructed approximately 1.4 million Sq. 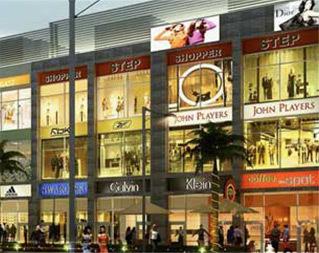 Ft. of retail spaces and eyes more construction years ahead. Wave Cinemas have transformed the cine experience across the country. Its movie theatres offer unmatched entertainment adventure with futuristic Digital Sound, Audio and Projection Systems. 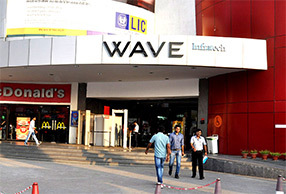 Wave Cinemas are presently positioned in Delhi/NCR (Noida, Raja Garden, Rajnagar, Ghaziabad, Kaushambi) and other cities like Moradabad, Lucknow, Ludhiana, Meerut and Jammu. 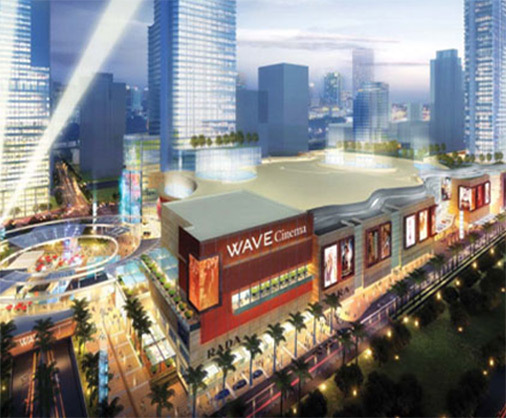 Wave Malls and Wave Cinemas are stationed at posh localities for customers’ convenience and unmatched experiences. Mr. Gurdeep Singh (Ponty) Chadha was the guiding hand, architect and anchor of Wave Group. Under his able leadership, the company excelled in every dimension and reached unparalleled heights. His vision to create an industrial empire that would contribute extensively to the Indian growth story has led to Wave Group diversifying its business portfolio to include sectors such as sugar manufacturing, distilleries, paper manufacturing, real estate and multiplexes, spirits, sports, and entertainment. Mr. Chadha played a key role in promoting professionalism, modern technologies, transparency and sustainability within all operations of the Group which have given Wave Group a competitive advantage over local or foreign competition. His commendable working associations with international clients, his unique quality of leadership and his ambition have benefited the group in countless ways. Today, Wave Group is among the top corporates in India because of the legacy Mr. Gurdeep Singh (Ponty) Chadha left behind. The Group now works on his vision to make a difference and build a better future for those around, by delivering higher quality of products and services. Even though Wave Group is constantly evolving to include more diverse game-changing projects, its aim will forever remain to make a tangible difference in people’s life – just the way its Founder did.